Unite LE1111 branch representatives at social care provider Equinox have considerably strengthened their capacity. Two new representatives have stepped forward, membership is growing and through the union they have made important improvements to restructuring proposals. The new team of reps has been engaged in negotiations with management over a major restructuring process. The reps held member meetings to discuss what the changes meant, clarifying the impact as well as raising alternative suggestions. A collective grievance over key areas of changes also raised issues about procedures and deadlines. This was followed with a meeting between the Regional officer, reps and management at which change to the process were agreed. The determination of members to find the best solution for themselves and service users has been commendable. These gains mark improved relations between the union and management since damaging strike action over pay in 2013. The then chief executive, Bill Puddicombe, left shortly after the dispute and the charity became part of Penrose Social Interest Group. Penrose has stated its commitment to ensuring that staff suffer no detriment as a result of the restructuring and union engagement has helped provide members with a voice at the senior levels of the organisation. Further updates will be posted as the restructuring progresses. 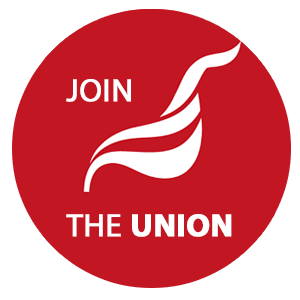 To join Unite, click here. If you are already a member at Equinox or Penrose, get in touch to find out how you can be involved.